At a certain point in life, birthday trips are always better than birthday gifts. Once you are no longer dependent on others, you tend to just buy things you want. So we stopped giving each other gifts and started giving each other experiences. We checked in and headed to our room. I booked the romance package, because it came with chocolate covered strawberries (one of the Husband’s favs) instead of cake. 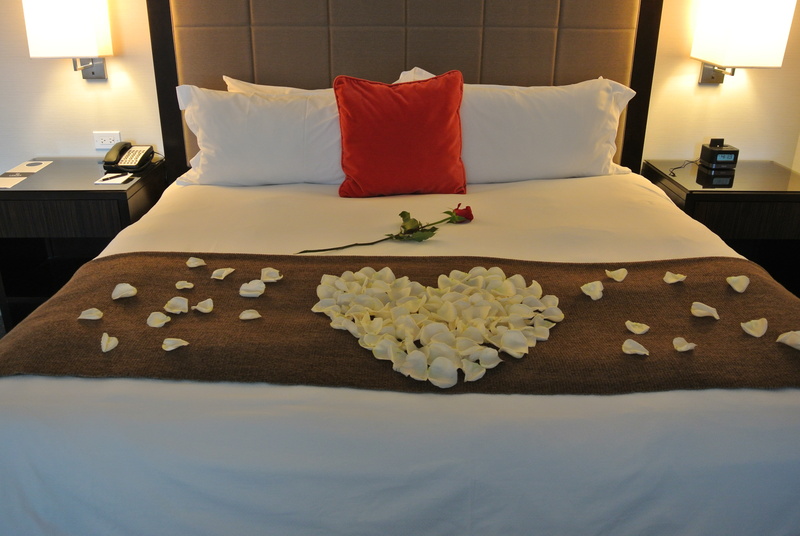 It also came with rose pedals all over everything. Very romantic, but if you know me at all, you know I’m as far from romantic as possible. I couldn’t stop giggling at the bed. 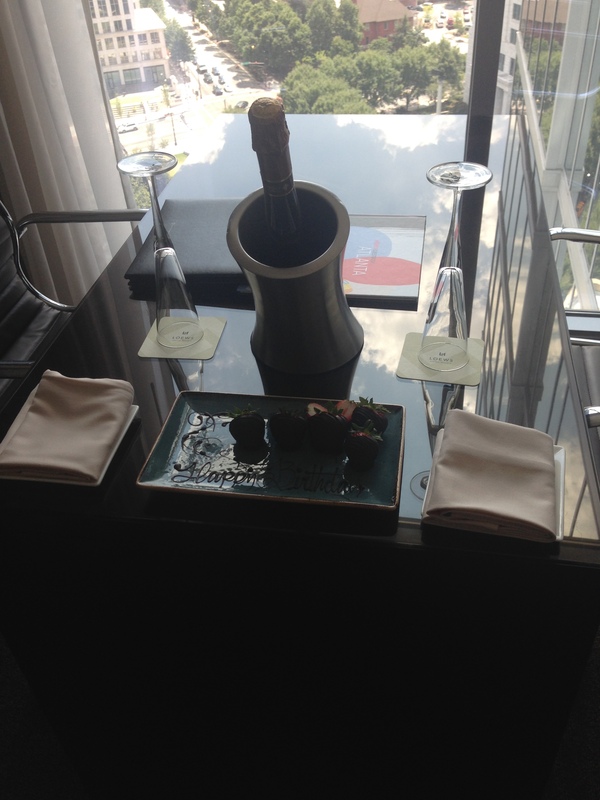 But then I turned the corner in to the living room and saw the view and a bottle of champagne. Not to mention the chocolate covered strawberries. 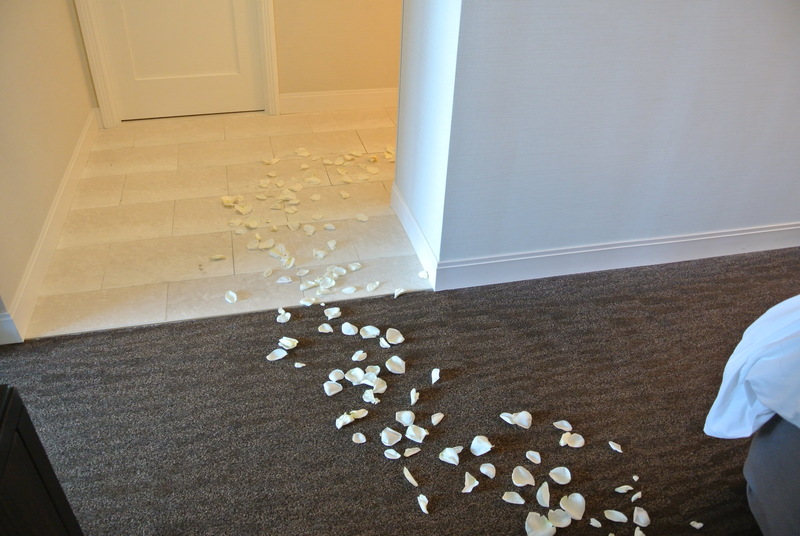 Rose petals aside, the room was really gorgeous. The bathroom had one of the nicest showers I’ve ever used. 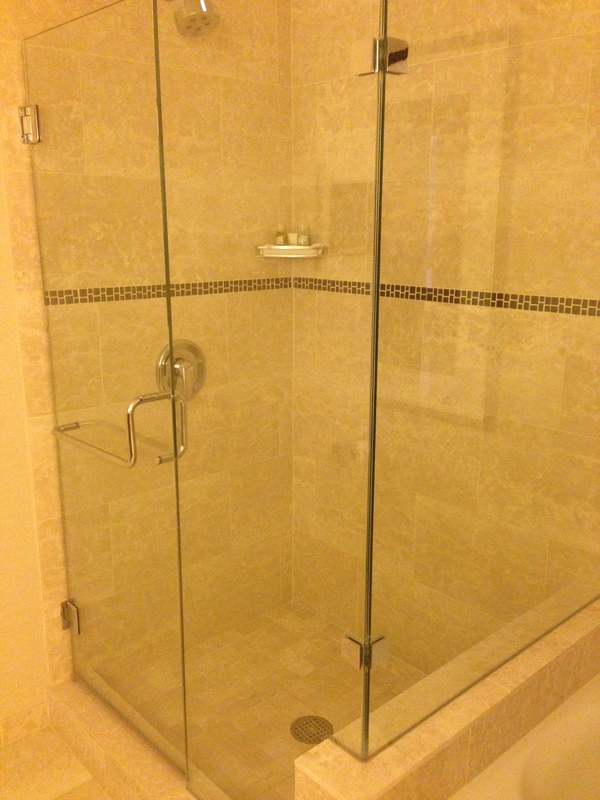 I actually enjoyed taking a shower (I hate getting wet). 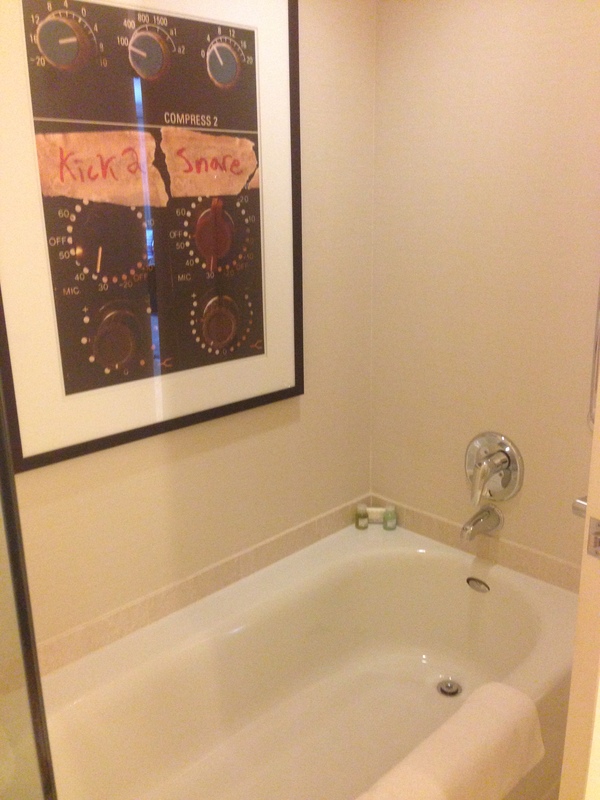 And there was a tub, in case you have time to relax. 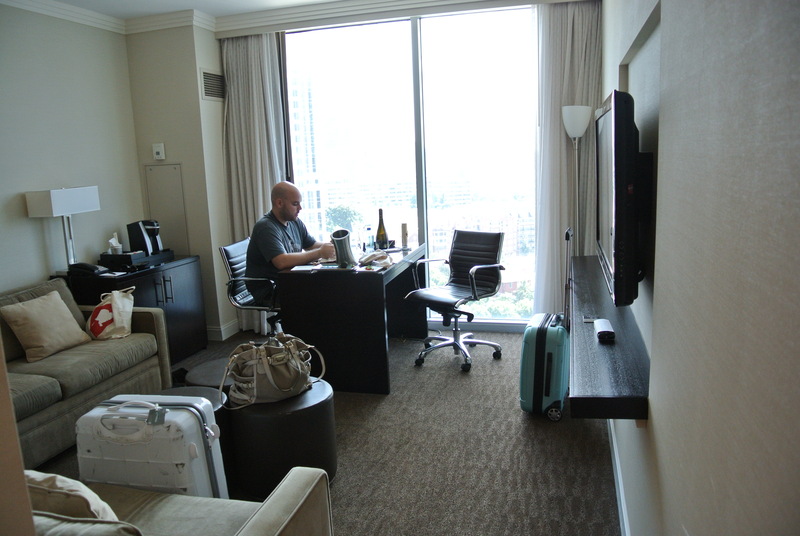 The living room area was really, nice with couches, a table, and a great view. Birthday boy enjoying his champagne and strawberries. 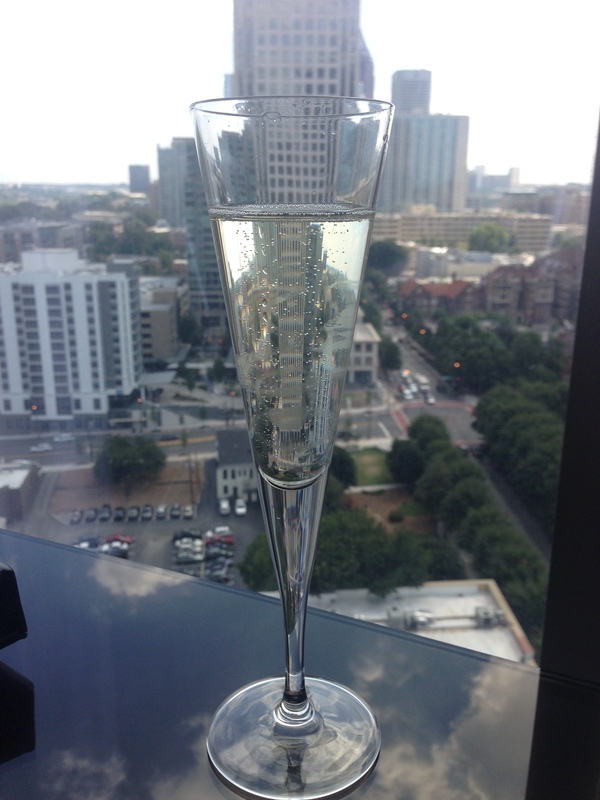 After imbibing on champagne we headed out in to Atlanta. Our first stop was the SweetWater Brewing Company (see separate post here). We had an awesome time, then headed to the Husband’s favorite Atlanta restaurant Taco Mac. 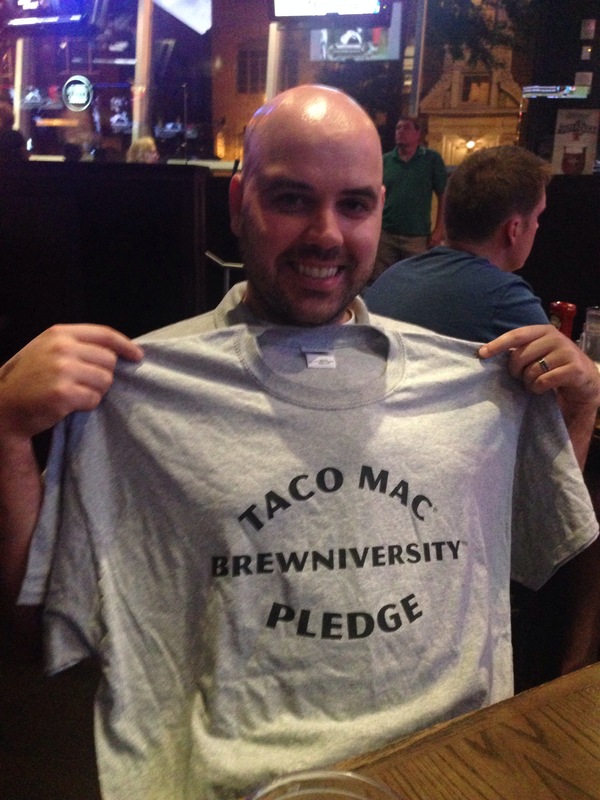 We go every time we visit Atlanta, and he finally tried enough different beers to earn a Brewniversity t shirt. After eating at Taco Mac we headed back to the hotel to have a drink at the lobby bar. 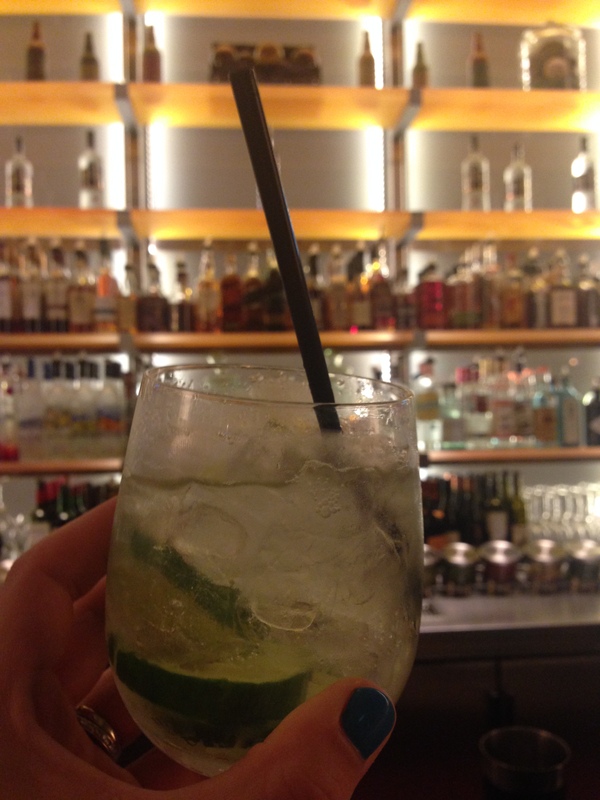 Bartender Teri’s special, the Rain Fall. Nothing is more refreshing than Hendrick’s gin and cucumbers. 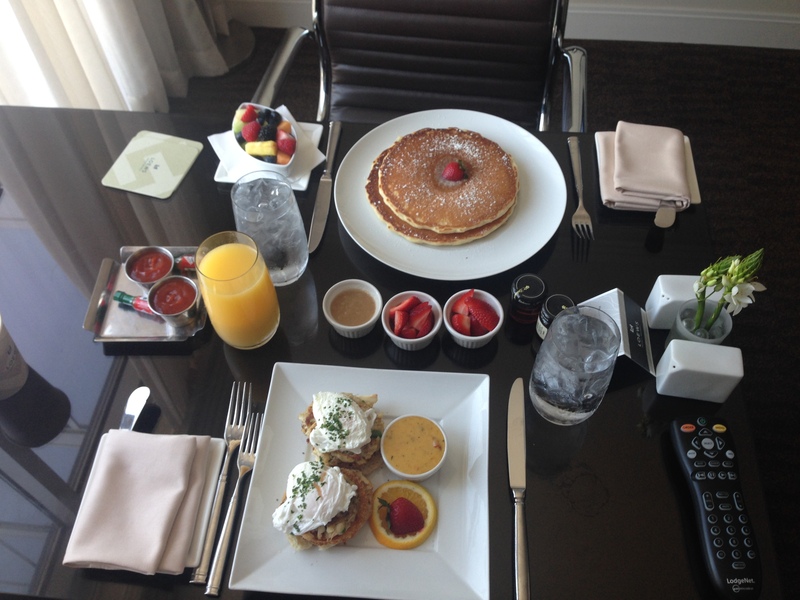 The next morning we ordered room service, since it was so good the last visit. And it did not disappoint. The Husband has pancakes with a delicious apple butter and I had a southern Eggs Benedict, with a crab cake, fried green tomatoes, and spicy Hollandaise sauce. So amazing. And filling. After our large breakfast we headed out for a walk around Piedmont Park and the Atlanta Botanical Gardens (see separate post here). 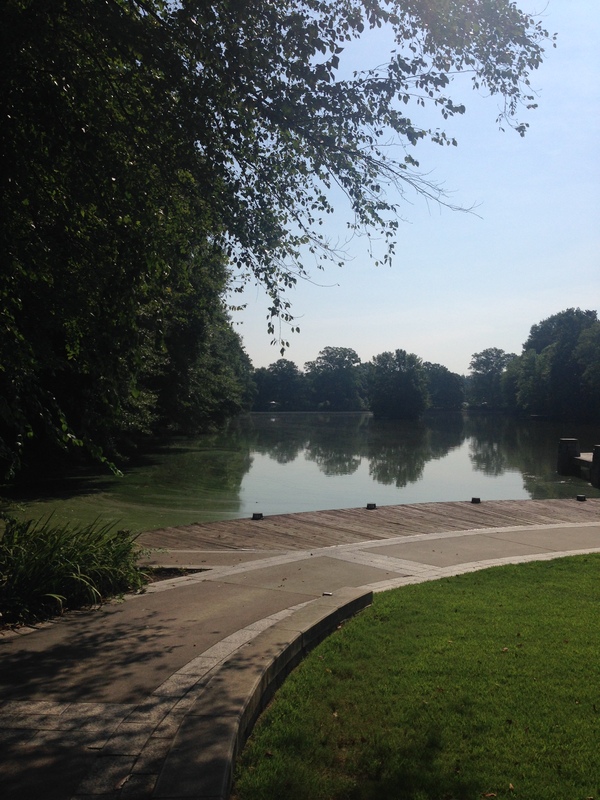 One of the many paths in Piedmont Park. After a long walk around the park and gardens we headed to The Vortex for lunch. It’s a funky, eclectic, voodoo-ish bar and restaurant that’s known for it’s burgers. It’s also a smoking establishment, meaning you have to be 18 years old to go and you have to eat outside if you don’t like eating cigarette smoke. So we grabbed a table outside and ordered. I’m not one for burgers but I figured I better try one. 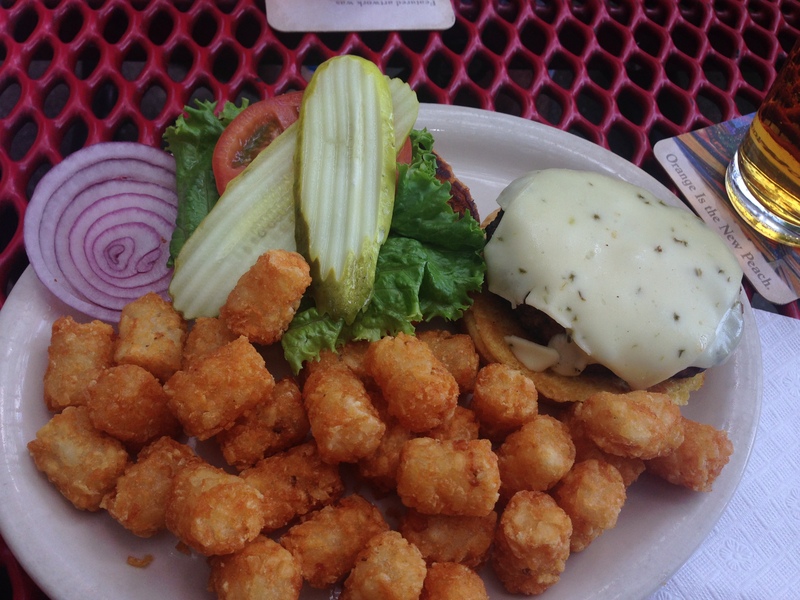 Basic cheeseburger and tater tots. They both were amazing! I couldn’t get over how much I liked my burger. Even though I ordered it well done, it was still juicy and full of flavor. And it was huge! 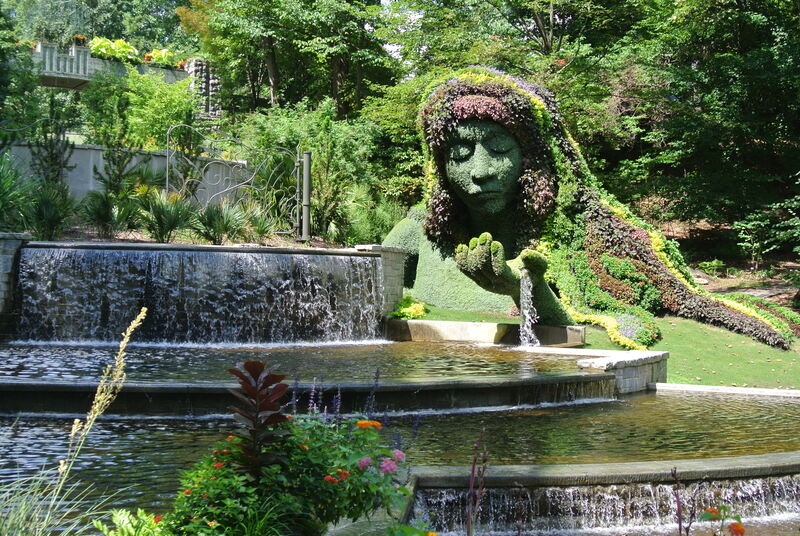 Definitely worth going to, even if we did have to eat outside in the heat and bugs. 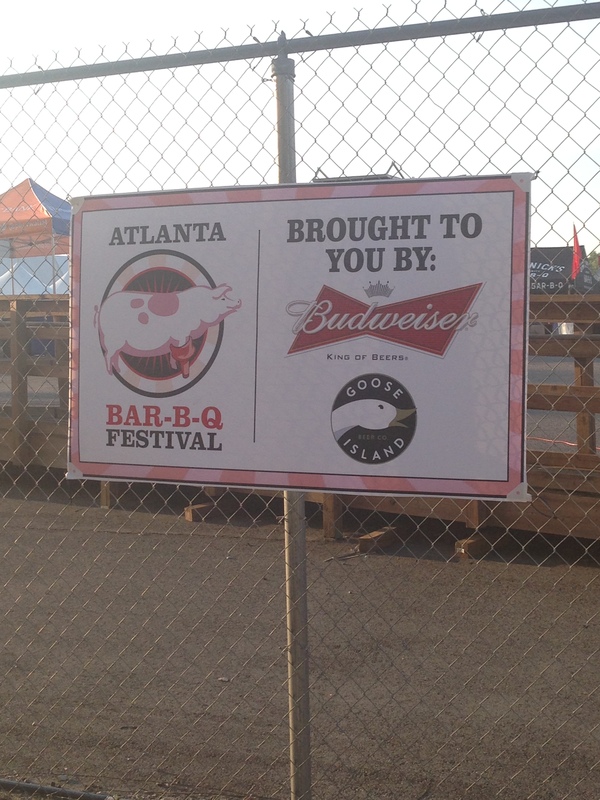 We spent the rest of the day with the Husband’s family, then headed to Atlantic Station for the Atlanta BBQ festival. It was kind of weird, because you had to pay $10 to get in and that didn’t include anything. And most of the stations set up were people who were entering the BBQ contest, not places to actually eat. We finally found one that looked good and would let me order sides, and we were not disappointed. The Husband and our friend we met up with loved their BBQ and my sides were really good. 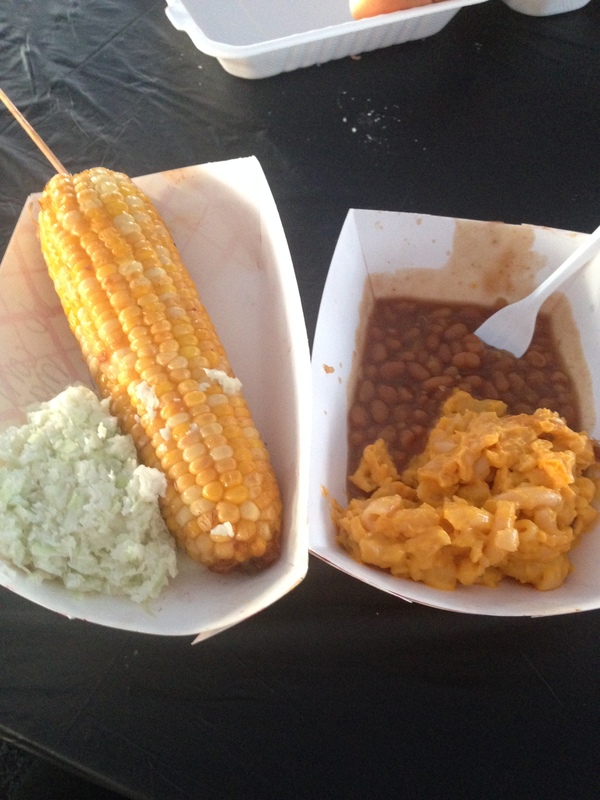 You don’t have to eat meat to enjoy a BBQ festival. We headed back to Dunwoody and spent the rest of the time with our family, enjoying take out, and art festival, and the Smithsonian Channel. Then we packed up our bags and headed to Nashville!